20. What about Project Fractals? 1. Connecting Insight – Capture, create, and compute enormous amounts of data and evaluate alternatives in a real world context. Insight early in the design phase supports “best possible” as opposed to “best practical” performance of completed projects. 2. Enabled by the cloud and mobility and generative design, virtual and augmented reality technologies, software is becoming an advisor in the design and engineering process, optimizing designs and aiding teams in making informed decisions before breaking ground in a fraction of the time. 3. Connecting Assets – Huge amounts of data are now available and connected technology helps to make the data useful across the lifecycle of the project. Learn from operational data gathered across the life cycle for continuous improvement of decision making. Gather data through sensors and connected devices (IoT) to inform maintenance decisions, more efficient and adaptive operations, and future design or process improvements. 4. Connecting Teams – Put the project in the center from the start. Stay up to date in the office and on the project job site, using the cloud, connected data and systems to unlock capabilities to share and collaborate across the lifecycle in real time without barriers. 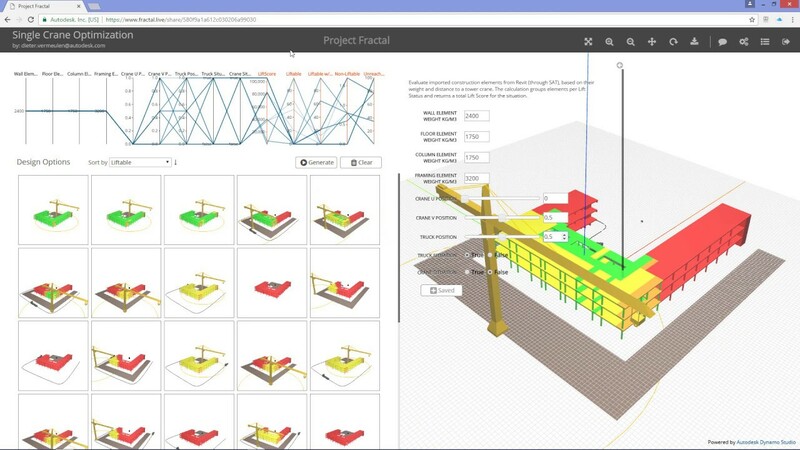 And as joint ventures become more prevalent in the industry, Autodesk helps connect teams whether they are on different city blocks or in different cities. to the Video….